Are you ready to become part of the next generation of business leaders? 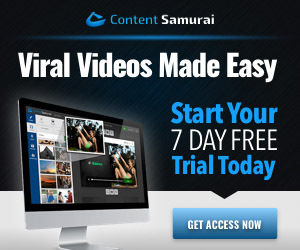 Ready to take your business viral? Social media sites such as Twitter, Facebook, LinkedIn, Youtube, and Pinterest all have thousands of customers waiting for you to explore. Harness the power of social media with the Udemy extensive social media course “Social Media Marketing – Complete Certificate Course“. Everything from Twitter and Facebook to blogging, social media automation, G+ and content marketing. This course will take you from social zero to social hero using our proactive and practical approach. It is arguably one the most comprehensive online courses of social media; giving learners a great grounding and skill set to enter the world of social. Understand the fundamentals of content marketing. All students who complete this course will receive a FREE digital ‘Certificate of social media marketing’ issued by the SO ME Academy, alongside Udemy’s own certificate of completion.